I know this story is going to sound weird. I’m going to tell it anyway. You know me. About two weeks ago, that time came round again when I had to take my little furry feline friend to the vet for her annual MoT plus injection to ward off nasty cat diseases which can be caught from playing with the naughty boys in the garden plus worming tablet plus anti-flea treatment. To be honest, apart from cat food and plenty of strokes and love, this is the only admin involved in my cat ownership, the annual trip to the vet, much loathed by both of us. It isn’t the vet, he’s lovely and once we get to his shop, all is well. It’s the getting of the unwilling PC into the pink travelling basket. Neither of us relish this and, to a my mind, its a two-woman job. But on this Monday morning a fortnight ago, there was only me. And Mitsy got wind of my plans. We had an early appointment and normally she can be guaranteed to be fast asleep on the bed after a night on the prowl so all I have to do is scoop up a warm armful of her and off we go. Ish. This day she had the wind up. She wasn’t asleep. She was on the office window ledge and popping in and out of the garden and eyeing the various vet trip paraphernalia with an appropriate degree of suspicion. I seized my ill-timed moment and attempted to get her into said basket. She fought me like fury but I won – at some cost. When I managed to close the metal door I saw with horror what I had failed to notice during the fight, that the door itself had ripped a 9-inch gash in my arm. Such was the adrenaline coursing through my body and my determination to succeed in the task itself, although I knew I was being wounded I didn’t realise how bad it was until I was breathing unsteadily in the street with my little pal in the car. She was meowing furiously and I was bleeding profusely and not sure I was safe to drive the couple of streets to the vet, such was the wobble factor. We rocked up at the vet. They had seen worse, but not much. The kindly receptionist offered me some of her alcohol rub which she had chained to her uniform and which she has cause to use often for the animal scratches which are part of her job, and she was asking about my tetanus shots, were they up to date etc. I don’t do injections so no, they are not up to date. But then I hadn’t been scratched by my cat, it was the carrying basket itself which had “got” me. Once we got back home, Mitsy went into a sulk for about 24 hours and we both licked our wounds. By now, mine had turned into an evil red gash and I looked like I had been in a knife attack. I did have some ancillary scratches too, there was adjacent bruising all over my arm and on either side of the wound and the gash itself had several hot spots where my body was beginning to fight any infection potential. My main concern was a scar. A 9-inch evil-looking red ugly raw scar all across my forearm which would shout either knife victim or self-harmer to the world and spoil any chance of ever looking pretty again when sleeveless or even in short sleeves. At 57 years old, I am aware that my body had slowed down its healing prowess in recent years too. When I got to the beautician five days later for my regular monthly appointment, they were visibly shocked by the damage to my arm with some theatrical sharp intakes of breath. And then I had a stroke of luck. 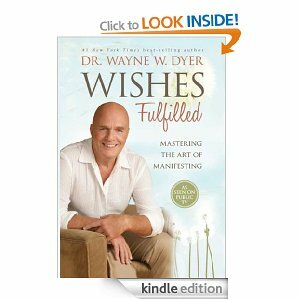 Just a day or two before this incident, I had taken digital delivery of a copy of my favourite Dr Wayne Dyer’s book Wishes Fulfilled. The opening part of the book concerns a story about the healing of a girl who developed Bell’s Palsy during some important exams in her life. This story was to illustrate what the book was all about but the key elements to her cure would be to say to herself “I AM Healed” and see her illness as cured already. So I applied these same techniques to my arm and amazed myself with the miraculous healing which ensued. I did spend a few moments on Google working out how to avoid a scar and the key seemed to be to keep the injury moist so I applied some organic soothing nappy balm I happened to have in the house made by GreenBaby.com. This is full of nice things like sweet almond oil, shea butter and organic essential oils of lavender and chamomile and free from nasties like parabens. Don’t ask why a single, childless woman of my age would have nappy balm in the house; suffice to say it wasn’t for nappy rash! I applied this two or three times a day while holding my hands over my arm and saying “I AM Healed” and seeing my arm as I would like it to be, as if the healing were done already and I were bruise free, which I was pretty confident of happening anyway and, especially, seeing my arm without a scar which result I was much less certain would resolve so happily. All I can tell you, Gentle Reader, is that that’s what has unfolded. You know how an injury will scab? This never did so no temptation to pick it off which must be, I think, what causes scarring? It is pink now rather than red, but there has been no infection so no tetanus jabs required and the gash is long since fully healed, ditto the bruises, and what is left to heal is fading nicely away to silvery nothing. I saw it as healed. I said it out loud. I anointed the wound several times a day with the lovely balm. And so it came to pass that I healed myself. And even better. Saying I AM Healed several times a day – no, many times a day – has also spontaneously healed a handful of other tiny, annoying things which were wrong with me, some of them chronic. I have healed myself. I know I always have this ability at my disposal now, because it works, and knowing this means the rest of the strategies in Wayne’s book will also work for me too, not that I sought any proof actually. I have been saying I AM perfect health, I am happy, I am content, I am peaceful, I am writing, I am wealthy and everything else he recommends and some of my other wishes are starting to be fulfilled too, little daily miracles. I now expect them and I AM grateful. I heartily recommend this book and there’s never any substitution for doing the work. I have finished the book and propose to read it again, take notes, do some more practice and you will be hearing more from me on this topic, for sure. 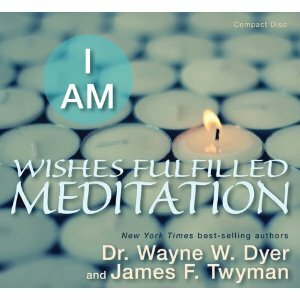 Oh, and I forget to mention that throughout the two weeks I have also been doing the meditations he recommends as well. I have always intended to be a daily meditator. This lovely CD makes it pleasurable and possible and a habit is already taking hold as I look forward to the twenty or forty peaceful minutes once or twice a day and sometimes I just choose to listen at bedtime too whilst saying my I AMs. Thanks, Wayne. PS Ooh! Almost forgot the icing on the cake. When I was telling this story to my spooky pal Sharon on Friday night she suddenly exclaimed that she could see my aura. When I asked what colour it was she said green. When I asked what that meant she said “healing”! As I continued to talk to her and another pal about my healing myself story, Sharon said that every time I said I AM Healed with increasing certainty and power the green aura got bigger and bigger. As if I needed any more proof…but it was fun to play with my newly discovered healing ability and to have her see a visual representation of my certainty in my self-healing.